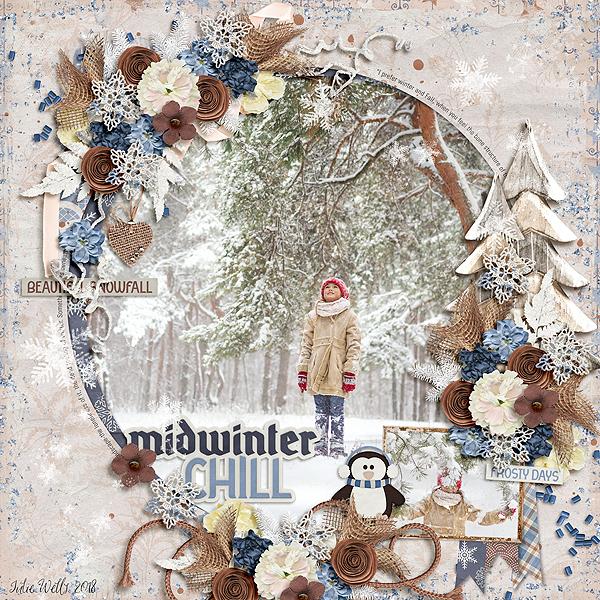 The chill of winter is captured in this adorable kit perfect for those snowy, winter days. 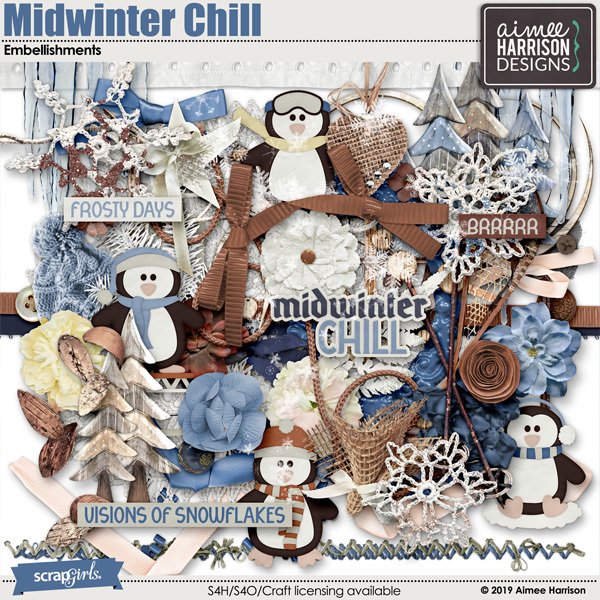 Midwinter Chill Collection by Aimee Harrison is PU/S2H/S4O friendly. 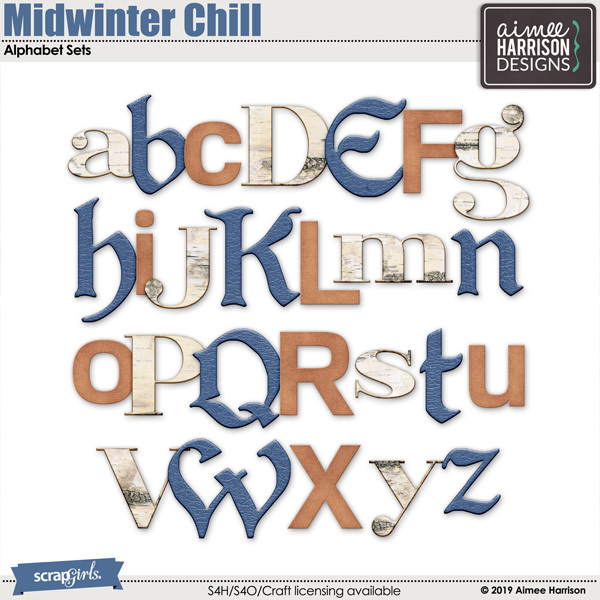 Midwinter Chill Alpha Sets by Aimee Harrison are PU/S2H/S4O friendly. 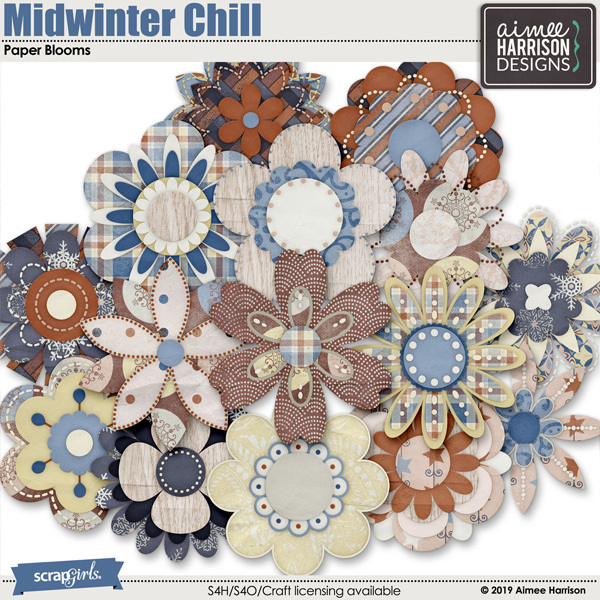 Midwinter Chill Blooms by Aimee Harrison are PU/S2H/S4O friendly. 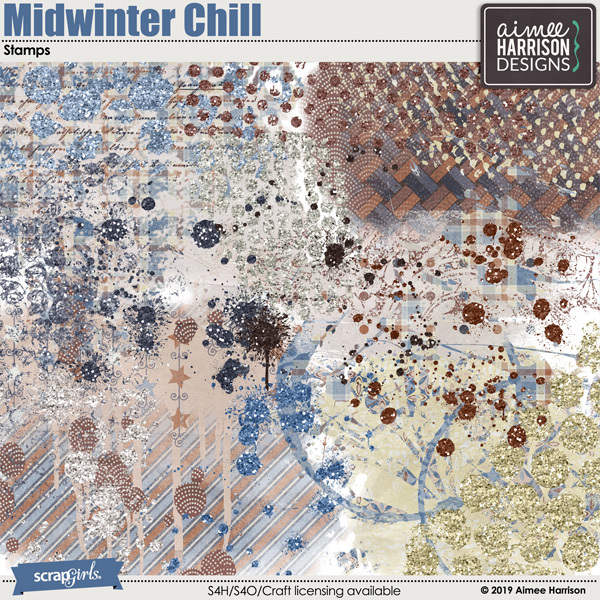 Midwinter Chill Borders by Aimee Harrison are PU/S2H/S4O friendly. 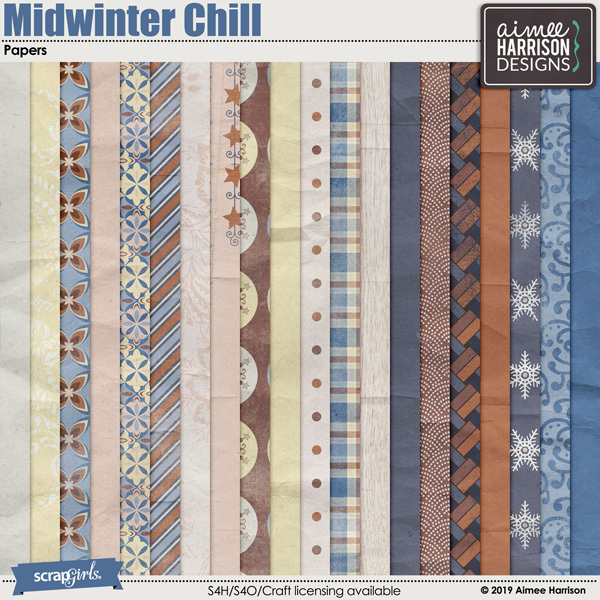 Midwinter Chill Stamps by Aimee Harrison are PU/S4O/S4H friendly. 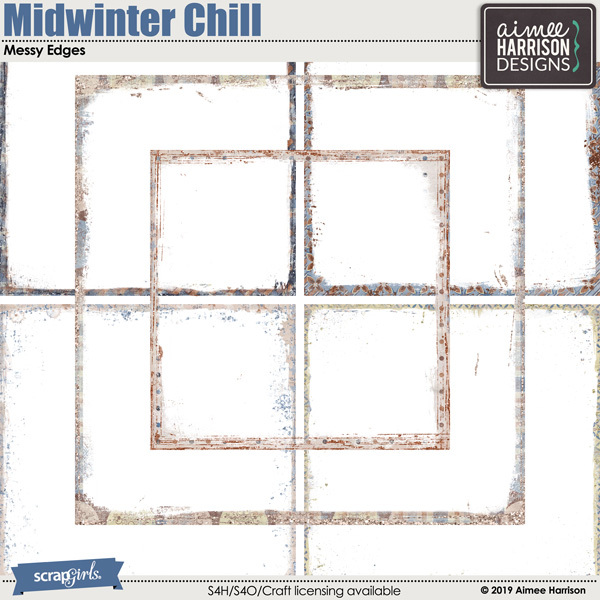 Midwinter Chill Messy Edges by Aimee Harrison are PU/S4O/S4H friendly. 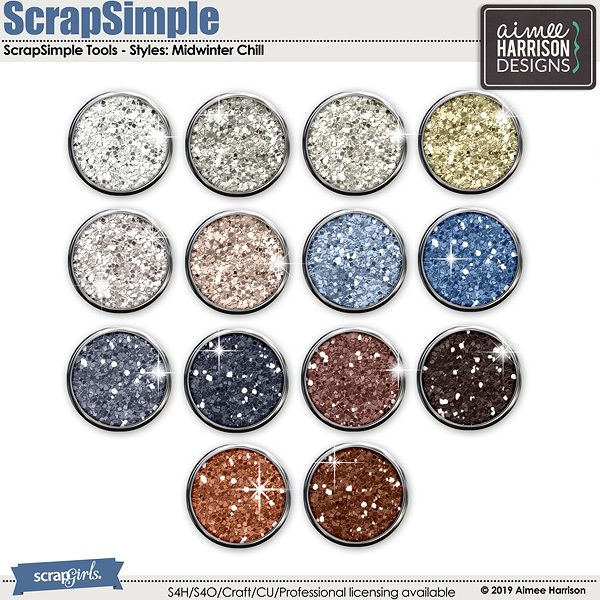 Midwinter Chill Glitters by Aimee Harrison are CU4U/CU/PU/S2H/S4O friendly. 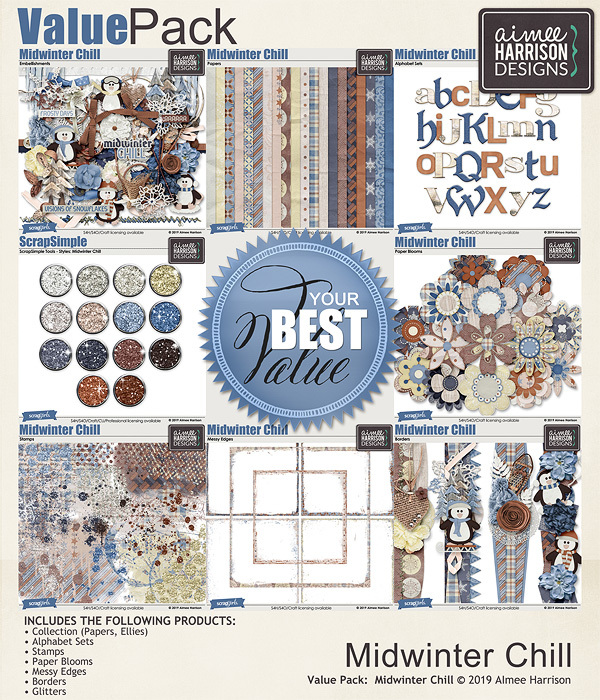 Join the Scrap Girls Monthly Club to the newest coordinating designs each month and save money! PLUS! When you join the Scrap Girls Club, you will receive free exclusive Members-Only designs each month that are not avaiable in our store! The Tuesday Special is a freebie that coordinates with this month's Club. The Woodland Botanical Collection Biggie is like a sunny walk in the forest. There are bright watercolor effect papers and delicate hand-drawn florals that you use as accents or combine to build a whole forest scene. Let you light shine with these beautiful digital layout templates that feature Christmas lights and blended photo masks! Banners, Baby #1 Templates by Aimee Harrison are PU/S4H/S4O/CU. Heartfelt #2 Templates by Aimee Harrison are PU/S4H/S4O/CU. I think having a good album set in your arsenal is an invaluable tool. This set allows you to use multiple photos and journal spots. I also love the fact that this set can easily be flipped and rotated to get new double page layouts!